Shut Eyes, a photo by CorkBilly on Flickr. 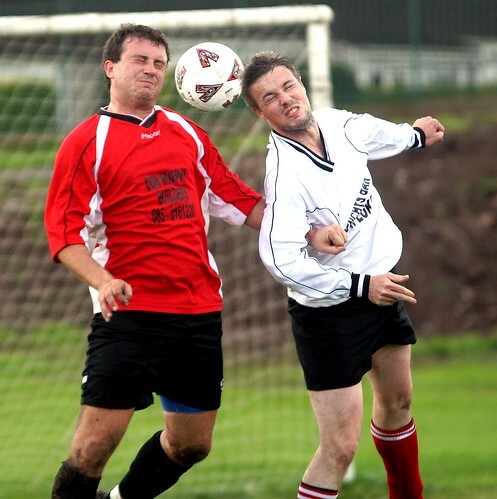 Knockavilla's Kevin Finn (left) and Emmet Herlihy jump for the ball. 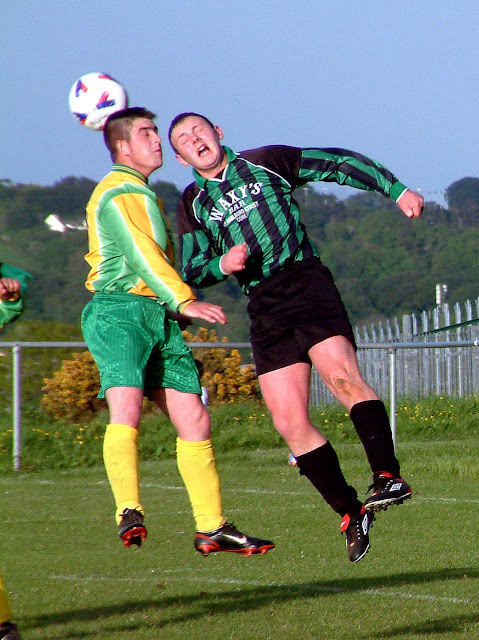 St Michael's Cup, Popham's Road, Inter City Celtic 0 Knockavilla Celtic 3, 01.10.06. For more pics from this season and earlier, just click on the image.